Libya is a country located in North Africa. The official name of the country is Libya. and Niger to the south and Algeria and Tunisia to the west. As of 1 January 2017, the population of Libya was estimated to be 6,273,726 people. With an area of 1,759,541 square kilometers (679,363 square miles), Algeria is the 16th largest country in the world, and the 4th largest in Africa. Tripoli is the capital city and the largest city of Libya. The city is located in the northwestern part of Libya on the edge of the desert, on a point of rocky land projecting into the Mediterranean and forming a bay. Libya’s terrain is mostly barren, and features flat to undulating plains, plateaus and depressions. Tibesti Massif along its border with Chad. Bikku Bitti, also known as Bette Peak, is the highest mountain in Libya at 2,266 meters (7,434 ft). It is located on the Dohone spur of the Tibesti Mountains in southern Libya, near the Chadian border. South of Libya’s narrow coastal strip is a sparse grassland giving way to the Sahara Desert – a vast, unfertile wasteland that supports a very small percentage of people and agriculture. The Mediterranean coast and the Sahara Desert are Libya’s most prominent natural features. Libya has 1,770 kilometers (1,100 miles) of coastline. Within Africa, Libya has the longest Mediterranean coastline, and is home to many beaches. Libya has 5 UNESCO world heritage sites. that it has retained to modern times. Since 1982, it has been a UNESCO World Heritage Site. Leptis Magna was enlarged and embellished by Septimius Severus, who was born there and later became emperor. It was one of the most beautiful cities of the Roman Empire, with its imposing public monuments, harbour, market-place, storehouses, shops and residential districts. Since 1982, it has been a UNESCO World Heritage Site. A Phoenician trading-post that served as an outlet for the products of the African hinterland, Sabratha was part of the short-lived Numidian Kingdom of Massinissa before being Romanized and rebuilt in the 2nd and 3rd centuries A.D. Since 1982, it has been a UNESCO World Heritage Site. although renovations are presently taking place, so some of the galleries are closed. cities and an outstanding example of a traditional settlement. Its domestic architecture is characterized by a vertical division of functions: the ground floor used to store supplies; then another floor for the family, overhanging covered alleys that create what is almost an underground network of passageways; and, at the top, open-air terraces reserved for the women. The old part of the town, which is surrounded by a city wall, has been declared a UNESCO World Heritage site in 1986.
importance of these paintings and carvings. The paintings date from 12,000 B.C. to 100 A.D. and reflect cultural and natural changes in the area. There are paintings and carvings of animals such as giraffes, elephants, ostriches and camels, but also of men and horses. People are depicted in various daily life situations, for example while making music and dancing. Libya has been inhabited by Berbers since the late Bronze Age. The Phoenicians established trading posts in western Libya, and ancient Greek colonists established city-states in eastern Libya. Libya was variously ruled by Carthaginians, Persians, Egyptians and Greeks before becoming a part of the Roman Empire. Libya was an early centre of Christianity. After the fall of the Western Roman Empire, the area of Libya was mostly occupied by the Vandals until the 7th century, when invasions brought Islam and Arab colonisation. In the 16th century, the Spanish Empire and the Knights of St John occupied Tripoli, until Ottoman rule began in 1551. Libya was involved in the Barbary Wars of the 18th and 19th centuries. Ottoman rule continued until the Italian occupation of Libya resulted in the temporary Italian Libya colony from 1911 to 1943. 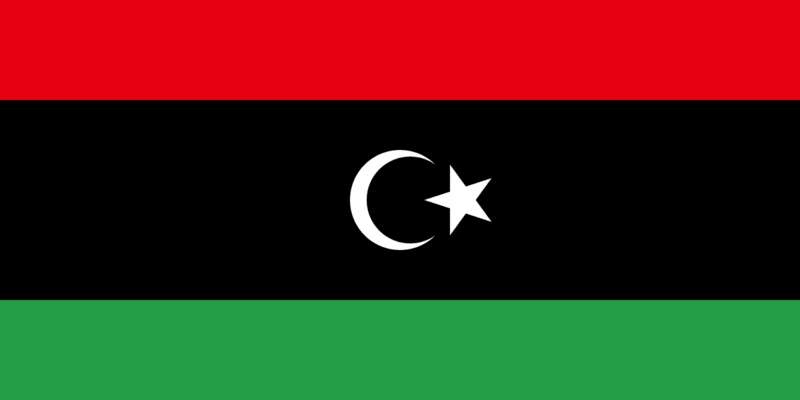 In 1949, the UN voted that Libya should become independent, and in 1951 it became the UnitedKingdom of Libya. armed rebellion assisted by Western military intervention. The Economy of Libya depends primarily upon revenues from the petroleum sector, which contributes practically all export earnings and 80% of GDP. These oil revenues and a small population have given Libya the highest nominal per capita GDP in Africa. Libya is a large country with a relatively small population, and the population is concentrated very narrowly along the coast. Ninety percent of the people live in less than 10% of the area, primarily along the coast. There are about 140 tribes and clans in Libya. About 97% of the population in Libya are Muslims, most of whom belong to the Sunni branch. Libyan cuisine derives much from the traditions of Mediterranean, North African, and Berber cuisines. There are four main ingredients of traditional Libyan food: olives (and olive oil), dates, grains and milk. One of the most popular Libyan dishes is Bazin, an unleavened bread prepared with barley, water and salt. As with most of the African countries, Libya has an ongoing love affair with football. The hottest temperature ever recorded on Earth’s surface was 57.8°C (136°F) in El Azizia, Libya recorded in 1922.